I grew up in a library. Well, sort of. My family arrived in the United States as refugees when I was a toddler and, living in a community without many resources or youth programs, my parents were unsure of what to do with me outside of school. This was especially true in the summers, so they would take me to our local library several times a week — it was free and air-conditioned. I was a regular at every literacy program and summer reading competition, and it was through these programs that I honed my reading skills and developed a love of learning that has guided me ever since. 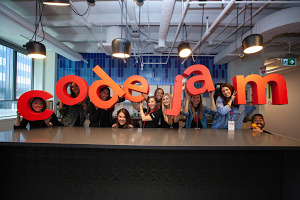 Now, decades after those visits to our local branch, I’m excited to share that Google is partnering with the American Library Association (ALA) on Libraries Ready to Code, a new project to help librarians across the U.S. inspire youth to explore computer science (CS). This work builds on previous Google support for library programs, including Wi-Fi hotspot lending. Libraries are, and have always been, at the heart of communities throughout the country. They play a unique role in education, inspiring youth (and adults!) to be lifelong learners. More than just a place to borrow books, libraries provide access to critical knowledge, workforce skills, and opportunities to become civically engaged. As the world changes, libraries have adapted with new services, media and tools. They promote digital inclusion—providing free access to digital content, hardware, software, and high-speed Internet. And, increasingly, libraries are recognizing the importance of exposing youth to CS and computational thinking (CT) skills—arguably, the “new literacy” of the 21st century. “Libraries and library staff can create opportunities for youth to gain basic exposure and a basic interest in coding. From there, with support and mentorship from librarians and staff, they can develop long term engagement and possibly computer science as an envisioned future,” says Crystle Martin, Secretary of the Young Adult Library Services Association (YALSA). While 40 percent of U.S. schools offer CS courses that include programming, access is not universal and demographic disparities exist. Libraries can help broaden that access: with more than 100,000 public and school libraries in the U.S., including in rural and lower-income areas, more than 306 million Americans live within a service area. But to expand access to CS, we need to provide librarians with the resources and understanding to curate and implement programs that suit their communities’ needs. 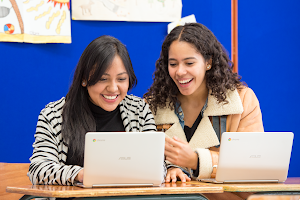 Through Libraries Ready to Code, Google and ALA will help equip librarians with skills to provide CS learning opportunities like Google’s CS First program, which New York Public Libraries are already using for NY coding clubs. The project will support university faculty at Library and Information Science (LIS) schools in redesigning their tech and media courses. They’ll integrate content on facilitating CS activities and teaching CT, and after the courses are evaluated, we’ll share these model courses with LIS schools nationally. Ready to Code isn’t intended to transform librarians into expert programmers or computer scientists. Rather, we want to provide them with the knowledge and skills to do what they do best: empower youth to learn, create, problem solve, and develop the skills needed in tomorrow’s workforce—all while having fun, of course. The next time you’re at your local library, find out if they are Ready to Code. If not, they can visit the Ready to Code website to learn about resources to get started and request more information. Meanwhile, I’ll be at my local branch with my five-year old — checking out books and learning to code together.